It can be difficult to maintain those healthy new year’s intentions if you’re always rushing around in the week and don’t seem to have time to prepare a nutritious lunch or dinner…. But if that’s the case, then quinoa is here to help…. While it’s often referred to as a grain, quinoa is actually a seed that is very high in protein. It was considered sacred by the ancient Incas, and is found in red, black and white. Quinoa is high in nutrients such as manganese, magnesium and phosophorus, while also containing a good amount of fibre. You can prepare quinoa in around 12 minutes, and it is versatile enough to be used in sweet and savoury dishes – including baking! Broccoli is rich in vitamin A, iron and B vitamins, which is all good news if you’re feeling tired, as iron and B vitamins are essential for a healthy nervous system and for avoiding fatigue. Miso is also high in B vitamins, especially vitamin B 12, which is difficult to obtain on a vegan diet, so it’s pretty essential if you don’t eat animal products. Last but certainly not least; parsley assists the bladder, liver and kidneys (the three main organs which release waste) in filtering out toxins – it also helps to keep the breath fresh! Boil the sprigs of broccoli in a separate saucepan until they’re tender. 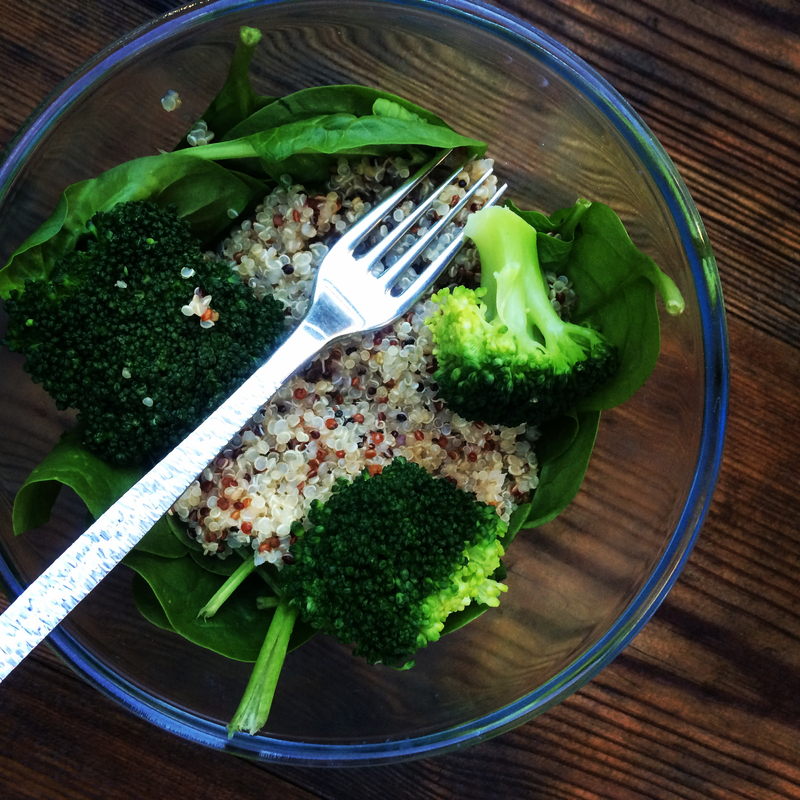 Once cooked, add your broccoli to the quinoa, and mix together. Add the miso and mix well until everything is combined. When the miso is mixed through, add in your parsley and mix again. Finish by sprinkling on a tablespoon of ground flax to provide extra omega 3, iron and calcium goodness.Serve on a bed of spinach if you have some handy – but if you are in a rush, this is still delicious eaten straight from the pan! If you’re taking on a New Year detox, remember to provide your body with plenty of nutrients and goodness so you can stay happy, healthy and strong! I absolutely love brocoli…so I will have to try this recipe! !